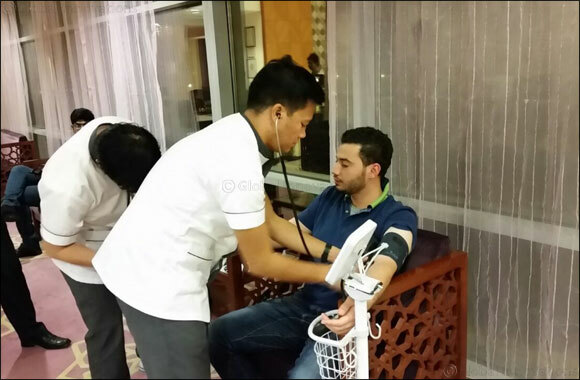 February 11th, 2019; Ras Al Khaimah, UAE: Highlighting the matters of heart, RAK Hospital in Ras Al Khaimah has organised complimentary cardiac check-up at its premises this Valentine’s Day. The camp, open to public and across all ages, will be held from 10am to 4pm on February 14, and will be offering heart screening and consultation by a senior cardiologist, and height, weight, blood pressure, blood sugar and ECG on doctor’s advice. “Valentine’s Day is all about emotions and heart talk, but taking care of your heart physically is just as important. At RAK Hospital, we want you to ensure that your heart is fit, and you, in turn, can make sure that of your loved ones’ heart remains healthy as well. The free screening is our gift to the UAE residents on Valentine’s Day. Bring your family and friends for the complimentary session where they will be guided towards a healthier lifestyle because there is no better gift than a healthy life. This is also a great opportunity to meet our senior cardiologist and discuss one’s heart condition,” said Dr Raza Siddiqui, CEO of Arabian Healthcare Group and Executive Director at RAK Hospital. As per news reports, cardiac diseases are responsible for around 36 percent of all the deaths among UAE residents, making it the biggest killer in the UAE.